Victoria BlogTravelCelebrating Tet Vietnamese Style! 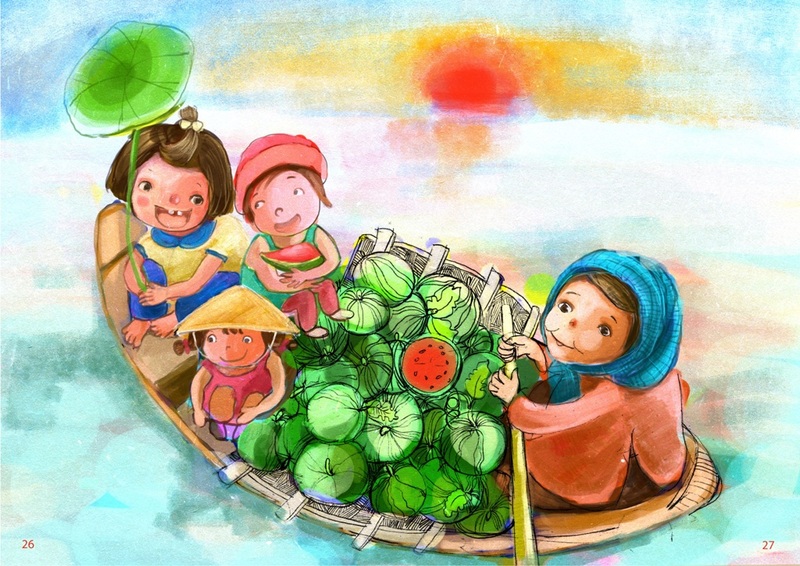 Every year around Lunar New Year, known as Tết in Vietnamese, the whole of Vietnam braces for celebration. 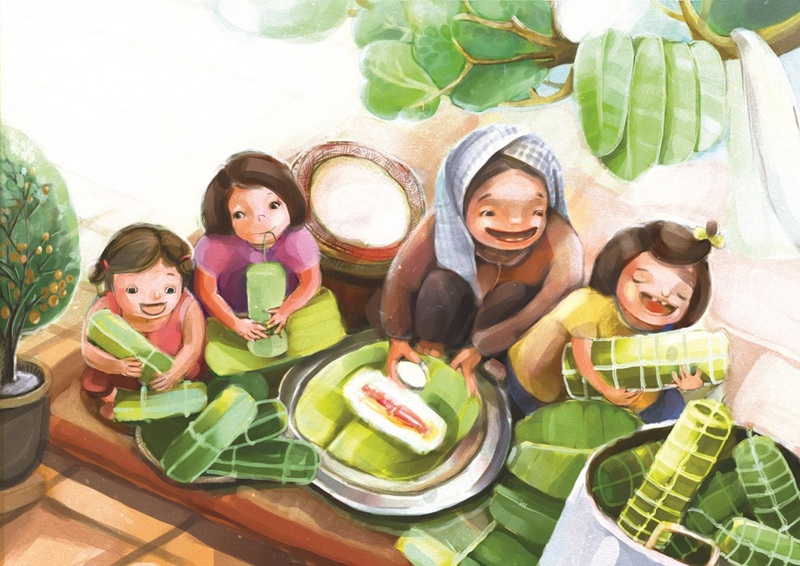 In this post, we’re sharing Vietnamese Tet traditions with you through the whimsical illustrations of Saigon-based freelance illustrator and graphic designer, Yen Nhi Lu. The Vietnamese are known as being industrious with most working 5.5 days a week (including Saturday mornings). Many who own their own shops or restaurants literally never take a day off… except for Tet, when the whole country shuts down for up to a week, enough time for everyone to pack their bags and head back to their hometowns to join family that they haven’t seen in a year. A few days before Tet officially begins, large cities usually crowded with people and motorbikes begin to empty out as people start taking planes, trains, buses and cars back to their hometowns. For visitors to Vietnam, the buzz around Tet can be both good and bad. Prices for hotels, transport and sometimes even restaurants tend to skyrocket and tourist attractions close down. To balance that, though, everyone seems to be in a jovial mood and you get to enjoy the almost eerie quiet that replaces the normal traffic jams and honking horns. The people who do stay in town are in Relaxation Mode, enjoying a rare week off of work. While the cities empty out, the countryside comes alive! 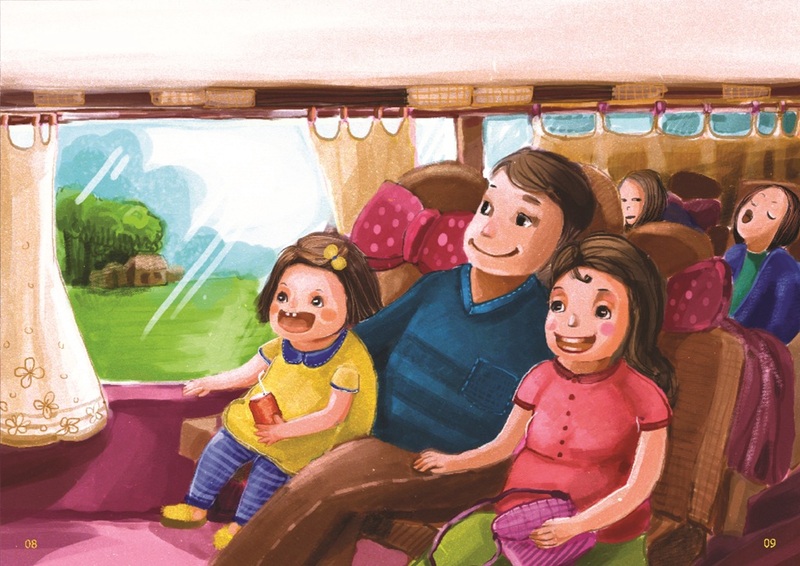 Homes usually inhabited by grandparents and little children are now filled with family members who have come home after long absences. Children used to concrete and steel finally have the chance to play with cousins in big open spaces, climbing trees and picking fruit right off the branch. There’s always a frenzy of buying that comes before Tet, as people from the city buy gifts for family back home to show how prosperous the preceding year has been. Special Tet foods and flowers abound. New clothes are bought to ring in the new year. Especially popular are items that are colored red or gold – red for luck and gold representing wealth. Cities literally bloom with red and gold flowers, decorative trees, posters and even fruit which has been carefully cultivated to ripen just in time for Tet. Special foods include items which can be ready-to-serve when guests come calling, like dried fruit and candied items like ginger, carrot, coconut, pineapple, pumpkin, lotus seed, star fruit and sweet potato – ideal to serve with a cup of hot tea. Other dishes are made to place on the ancestral altar before eaten by the family like boiled chicken or beef stew. One of the most iconic Tet foods, however, is the humble “banh chung” or glutinous rice cake. Legend has it that an ancient king called in his many sons to announce a challenge to decide who would succeed him: the son who brought the most meaningful food would be the next king. While all of the princes collected the most delectable and expensive dishes, one prince had a fairy come to him in a dream. The fairy told him to make simple cakes made of glutinous (sticky) rice, mung beans and pork fat, all rolled up in banana leaves. The king was delighted with this simple dish that represented everything good about the land and rewarded the prince with the throne. On Lunar New Year, the people ate the square “banh chung” and the round “banh tet” rice cakes to commemorate the prince who truly understood the people. 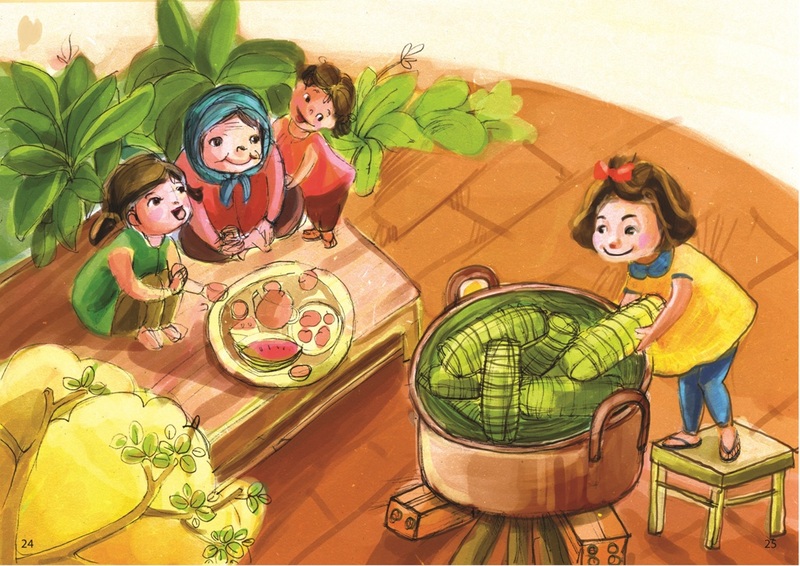 Nowadays, on the eve before Tet, entire families get together to make these simple but time-consuming delicacies. 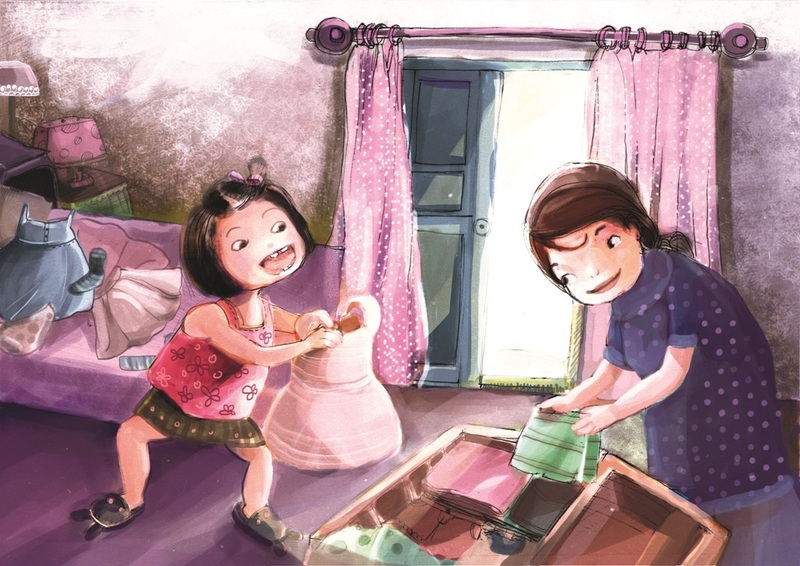 Even in the city, you’ll find scenes of families working together to wrap the cakes and press them into a mold before putting them into a big pot to boil. Sealed up tightly in banana leaves, the cakes take up to 10 hours to cook, meaning the family stays up the whole night to tend to the fire, passing the hours by telling stories and reminiscing. The making of the cakes seems almost secondary to the memories made by staying up all night with loved ones. 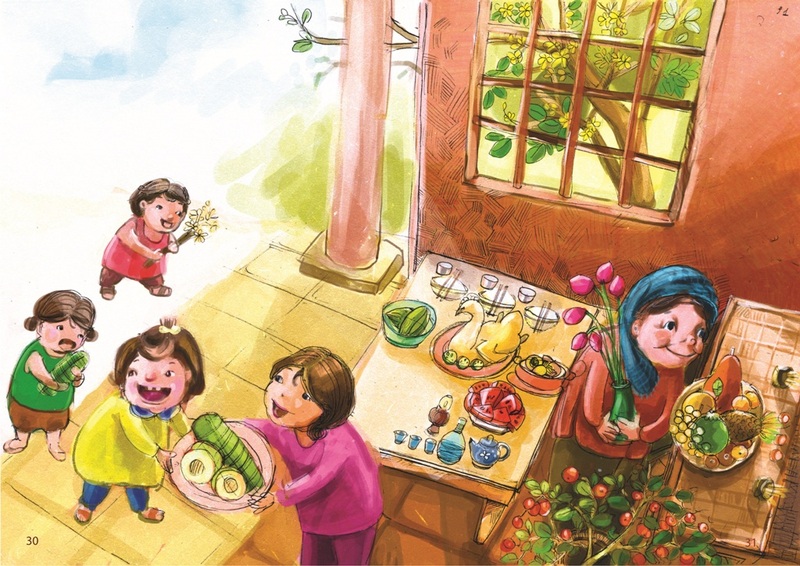 The actual celebration of Tet differs from family to family and place to place, but a common theme revolves around the idea of family itself – those present and even those who have passed away. They’re remembered by plates of food and offerings placed on the family altar where photos of dead loved ones watch over the proceedings. In the days following Tet, friends and neighbors casually drop by to wish everyone a happy new year. 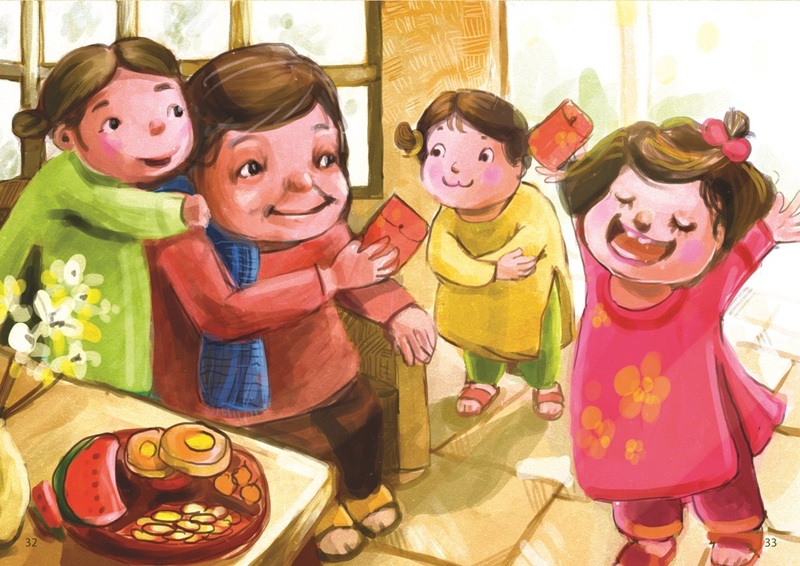 Children are especially happy around Tet because they get new clothes and also “li xi”, or lucky money placed in a red envelope from older members of the family. Even adults get “li xi” in the form of a 13th month of salary from their employers! 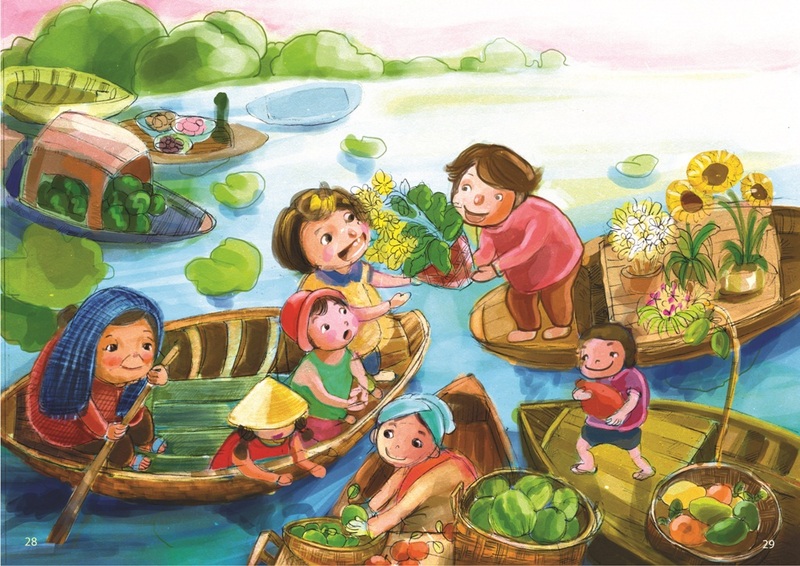 So if you find yourself in Vietnam during Lunar New Year, prepare to join in on the fun! It’s like Christmas, Thanksgiving and New Year’s all rolled up into one fun-filled week! For more on Tet traditions, see our post on 10 Things to Know About Lunar New Year. Victoria Hotels & Resorts across Vietnam will be celebrating Tet with gala dinners and memorable performances. See all of our promotions here. 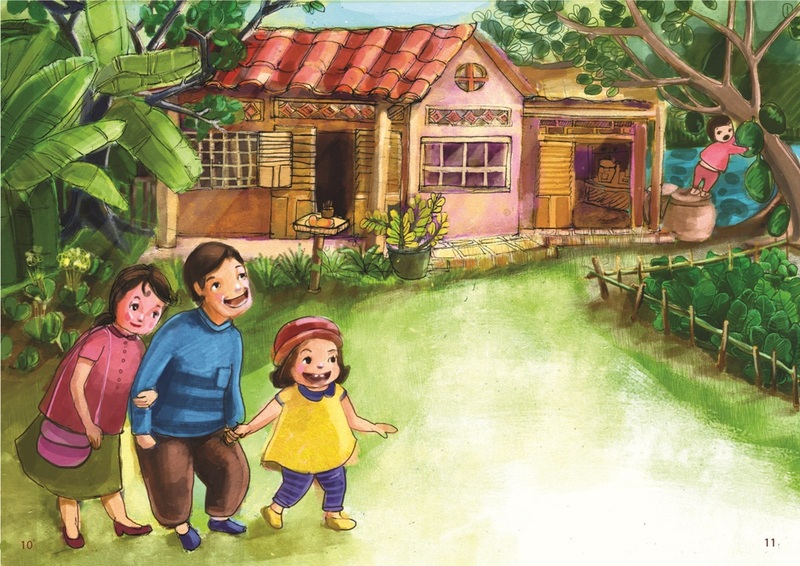 To see more of Yen Nhi Lu’s work, visit her Behance portfolio at Lu Yen Nhi.